SCOTTSDALE, AZ--(Marketwired - Oct 20, 2015) - Dr. Todd Mabry, a dentist in Scottsdale, AZ, recently announced the change of his practice's name to North Scottsdale Dental Studio. According to Dr. Mabry, this modification in no way alters the long-established identity of his practice, but instead was conducted as part of an ongoing effort to make the welcoming of Dr. Jeff Styskal a more seamless transition. Also included in this endeavor is the addition of three new treatment rooms in which the two dentists can continue providing an exceptional level of care for patients seeking anything from porcelain crowns and veneers to tooth-colored fillings, dental implants, and more. Ultimately, Dr. Mabry is thrilled with the new changes to his practice, and he is excited for what lies ahead. "When I opened in 2003, I had no idea the success and growth the practice would have. When it came time to incorporate Dr. Styskal, I knew North Scottsdale Dental Studio was the perfect name for the practice, as well as its future. It's amazing to be part of this practice, and we sincerely look forward to continuing to provide the expertise and quality of care that has been recognized by our peers and patients throughout the Scottsdale and greater-Phoenix community." Owned and directed by Dr. Mabry -- a recent recipient of Phoenix Magazine's 2015 Top Dentists award -- North Scottsdale Dental Studio is a comprehensive practice offering an expansive array of general, advanced, and cosmetic dentistry treatments and procedures for the entire family. Drs. Mabry and Styskal are both highly trained and experienced in state-of-the-art dental techniques, and they hold patient safety, comfort, and satisfaction in the highest regard. 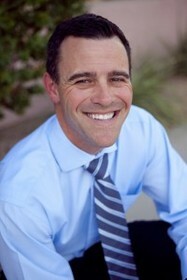 To learn more about North Scottsdale Dental Studio, visit toddmabrydds.com and facebook.com/ToddMabryDDS. Dr. Mabry and Dr. Styskal are available for interview upon request.